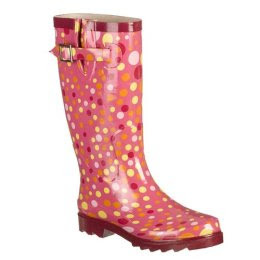 I know "wellies" are not a new trend but now big enough that there are sooooo many great options! 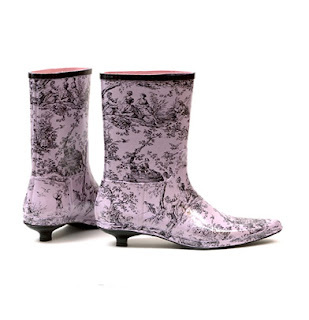 Forget the trend... everyone needs a pair just to keep dry and why not have fun with it?! 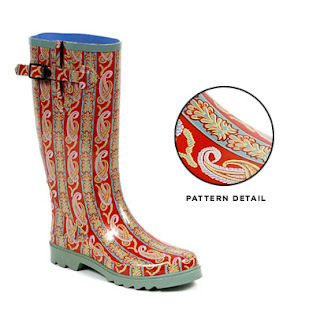 How cute are these boots from Tamara Henriques for sloshing through puddles? 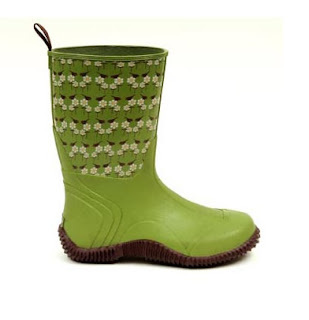 Or these ones from Celtic Hands at WellieArt?! And if you want to get fancy, Tamara Henriques has these, too! And, of course, thank you Target for your very affordable and fun collection! Couldn't believe how many options they have and at $20 a pop... an easy way to brighten a rainy day! 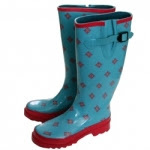 Look here for all their puddle splashing accoutrements!! Loving these cuties! Kind of makes you wish for a rainy day!